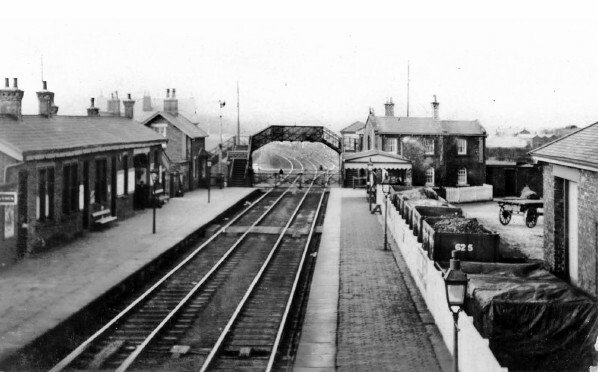 Skelmersdale station looking north from a signal post in the early 20th Century. 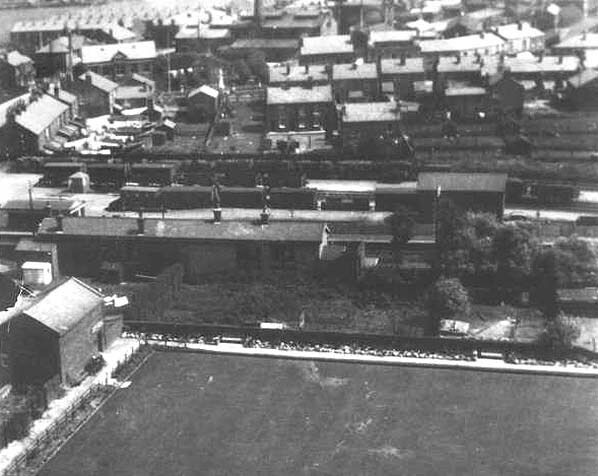 Skelmersdale station seen from the air in the 1930s. 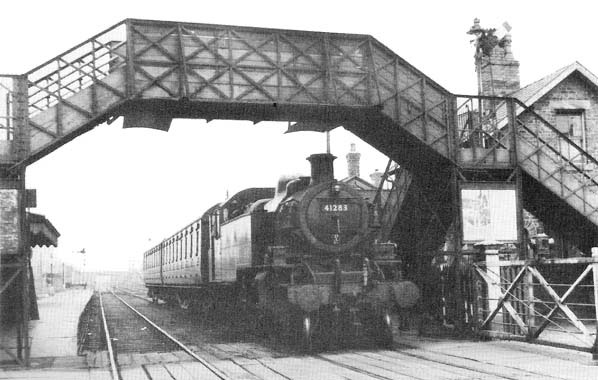 An Ormskirk train is seen departing from Skelmersdale station in 1956. 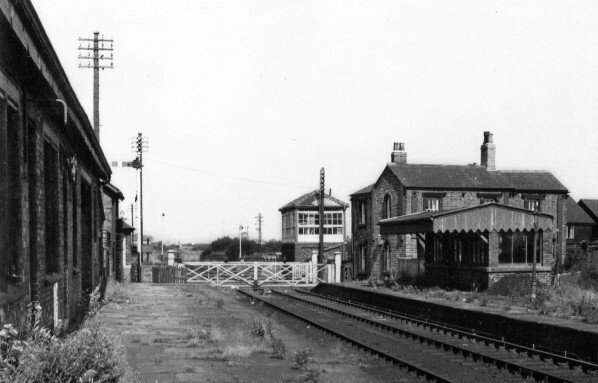 A derelict Skelmersdale station seen looking north from the down platform in 1965. 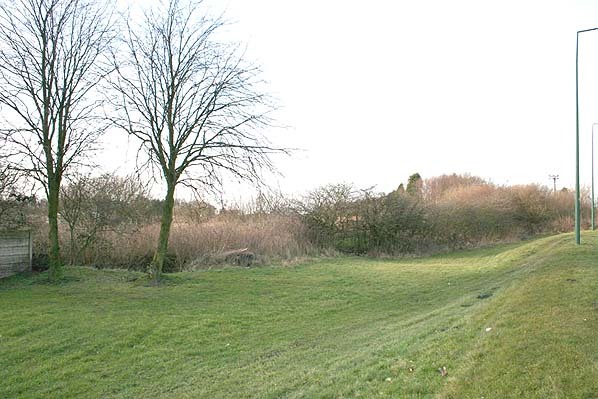 Looking north along the trackbed to the north of Skelmersdale station in February 2006.